Mineral water "Essentuki" is a health and drink it in larger quantities for drinking, you can't. As it contains mineral salts and chemical elements, the uncontrolled eating can harm even a healthy body. But when used correctly, prescription, mineral water brings tangible benefits. Refer to the General recommendations for the treatment of mineral water "Essentuki". Open the bottle of mineral water and leave it open at night to release carbon dioxide. Genuine spring water, bottled using modern equipment for improved technology, not inferior to the natural content of mineral salts and chemical compounds. In addition to carbon dioxide, which prevents the development of microorganisms, the water is treated with a solution of silver, which allows it to be stored indefinitely without loss of medicinal properties. In the morning pour out of the bottle 1/2 Cup of mineral water and heat it in the glass water bath, not above body temperature. Heated to a higher temperature is impossible, as an effective water "Essentuki" on the organs of digestion taking place in this temperature regime. If overheated - dilute with water from the bottle to the desired temperature. Heated drink mineral water slowly, in small SIPS for 1-1,5 hour before meals 3-4 times a day. Time and number of doses prescribed by a doctor. The duration of treatment of mineral water "Essentuki" is usually 24 - 30 days. During this time, normalizes work of all systems of the body are inflammation in the stomach, normal liver function, improves the metabolism. Re-treatment is carried out after 3-4 months by the doctor. 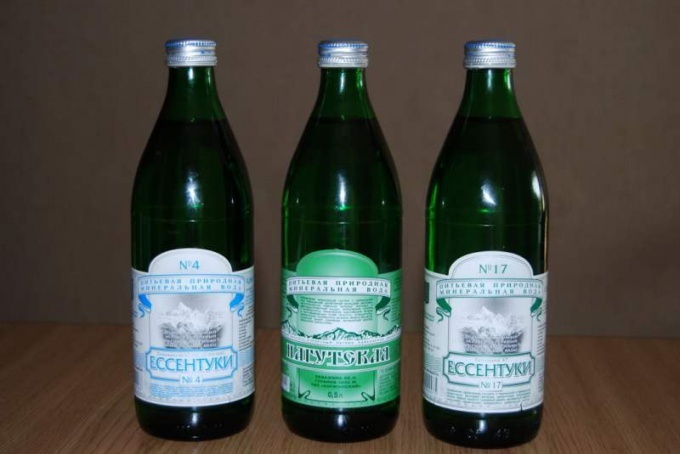 Mineral water "Essentuki №17" contains 13 g of mineral salts and chemical elements in 1 litre, is the most famous medicinal mineral water. "Essentuki number 4", which has a salinity of 9 g per liter, and "Essentuki - New" refers to curative-table waters. Buy mineral water "Essentuki" only in glass bottles, always check the place of manufacture, it should be bottled in Essentuki. Because mineral water "Essentuki" is on sale under several rooms, take the one that is prescribed by a doctor. Do not quench your thirst with mineral water, use drinking water.